Having spent the first night in at the Best Western in Addison, the Glee Club began its morning packing and getting breakfast. 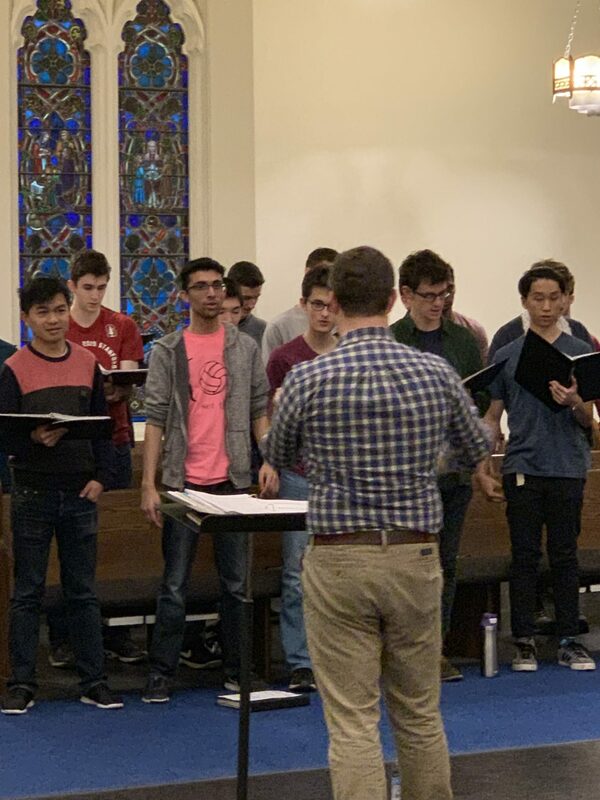 From there, tenors and basses bid goodbye to their RCS companions who would be leaving for Dallas later that day. From there, Gleeks took a bus (driven by the wonderful Pam) to the Kimbell Art Museum in Fort Worth. Featuring a vast of collection of pieces from around the world, the Kimbell Art Museum had something of interest for every singer. Members of HGC line up for a photo at the museum. After finding lunch around the museum (who knew Oliver ’20 would find a Denny’s?! ), Gleeks returned to the bus, departing for Broadway Baptist Church. Broadway Baptist Church is among the most recognizable places of worship in the area, founded in 1882. 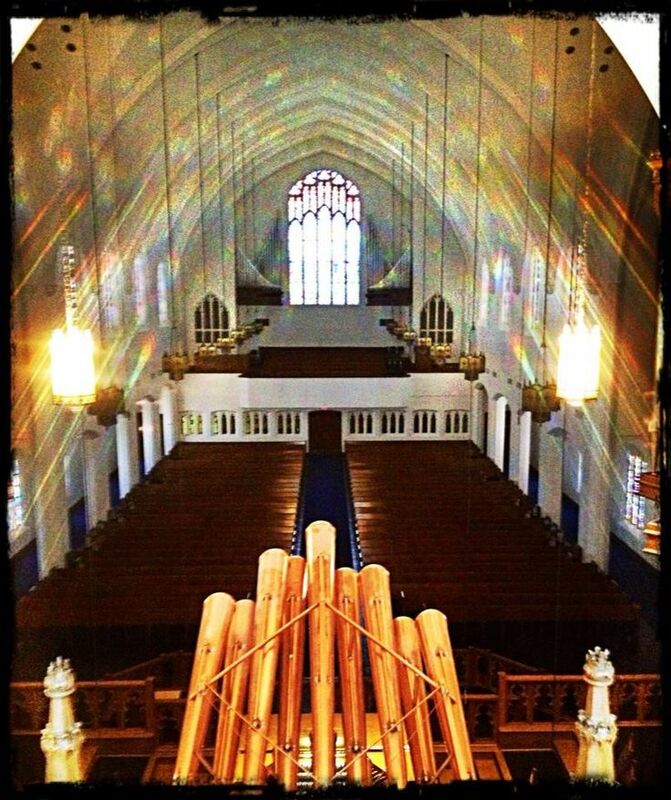 It has the biggest pipe organ in Texas with more than 10,000 pipes. After arriving, singers dived into a crash course rehearsal to review old material and prepare new repertoire for upcoming collaborations. Tomorrow, HGC begins their early day at the Fort Worth Academy of Fine Arts before returning Broadway Baptist Church for a concert with the Texas Boy Choir (tickets and info in the menu above).